Fantastic location with restaurants and tram at your doorstep. The ocean view is absolutely wonderful. Value for money. Everything, the staff are fantastic, the room was great, the view was perfect. The location was fantastic, Central to the main part of surfers. Walking distance to just about everything. The view looking out over the beach was beautiful. Affordable price. Friendly, great value for money and an amazing view! friendly receptionists, the amazing seaview, clean rooms and the location is excellent! Location is great! Woke up to some awesome sunrises. Everything was walking distance. Reception guy was super nice. We loved the ocean view from our room, the balcony and being able to open up the windows and doors for air. It was perfectly situated to everything. The staff we met were very polite and friendly and knowledgeable. Booking and information was easy to access and understand. Tha managers are superb they can not do enough for guests. The best option in surfers. Its our third time, always in diferent places but Olimpus has been the best. The view is amazing the apartment modern and the best location. Close to everything and yet very calm. We had air con but we only used it once in 21 days. The breeze from the ocean right in front of us is much better. We simply loved our stay. Lock in a great price for Olympus Beachfront Apartments – rated 8 by recent guests! 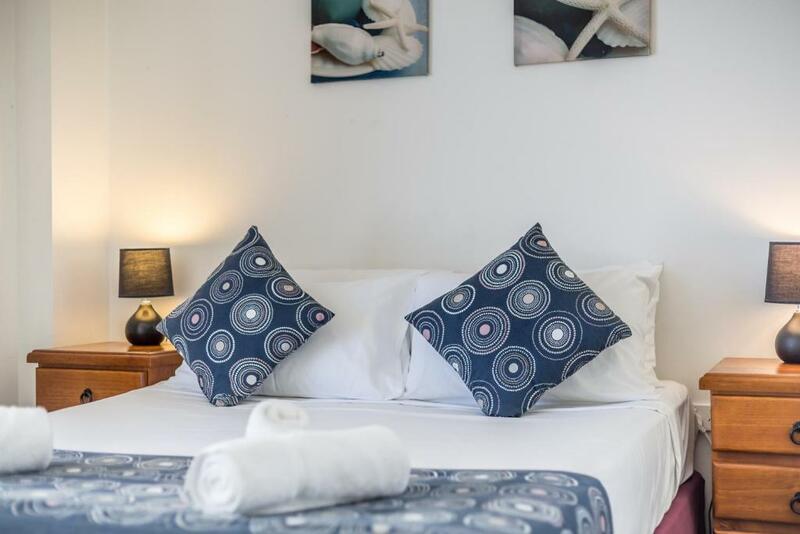 Olympus Beachfront Apartments This rating is a reflection of how the property compares to the industry standard when it comes to price, facilities and services available. It's based on a self-evaluation by the property. Use this rating to help choose your stay! One of our best sellers in Gold Coast! 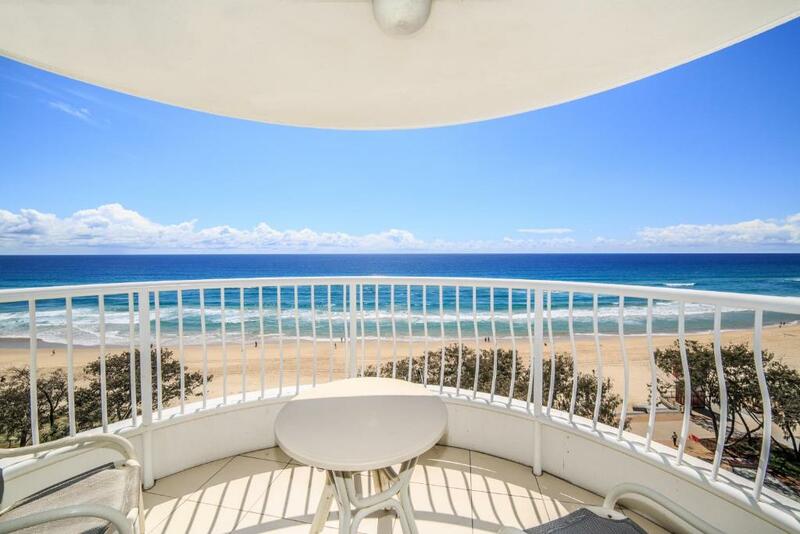 With an amazing beachfront location at Surfers Paradise and 180-degree views of the Pacific Ocean, the fully self-contained Olympus Beachfront Apartments offer home comforts and hotel amenities. 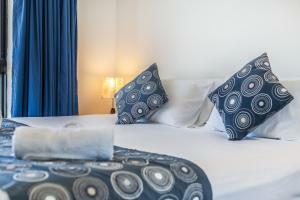 All Olympus Apartments have full kitchen, laundry and ironing facilities. The bright and large living rooms have a flat-screen TV with free cable channels. Enjoy ocean views from the private balcony. You can unwind by the pool or in the sauna. Play some tennis or basketball or have a barbecue. When you are ready to go out, the beach is right on your doorstep. A few minutes' walk will take you to Cavill Mall, the heart of Surfers Paradise, and many restaurants, bars and cafes. Free and secure underground parking is available to all guests. Apartments are located just a 2-minute walk from the Gold Coast G-link Tram Cypress avenue station, and 500 feet from Ferny Avenue Bus station. The tour desk can organize visits to the many Gold Coast attractions, including Seaworld, Movie World, Dream World and Wet 'n' Wild theme parks. 뀐 Located in the real heart of Gold Coast, this property has an excellent location score of 9.5! When would you like to stay at Olympus Beachfront Apartments? Apartment with fully equipped kitchen, spacious living room with dining area and large balcony with 180-degree views of the Pacific Ocean. Apartment with fully equipped kitchen, spacious living room with dining area and large balcony with 180-degree views of the Pacific Ocean. Some of these apartments have air conditioning. Please note there is no air conditioning in the higher floor apartment. Please note that the rate quoted is for 4 adults. Maximum occupancy is 6 (see Hotel Policies). Air-conditioned apartment with fully equipped kitchen, spacious living room with dining area and a large balcony with 180-degree views of the Pacific Ocean. The apartments are located on higher floors above level 5. 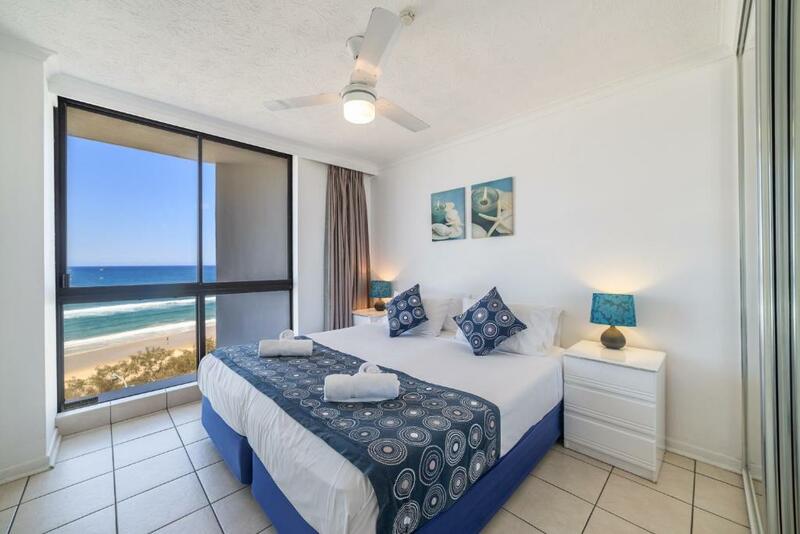 What better way to enjoy your beachfront holiday than to stay at Olympus Apartments in Surfers Paradise on the Gold Coast. 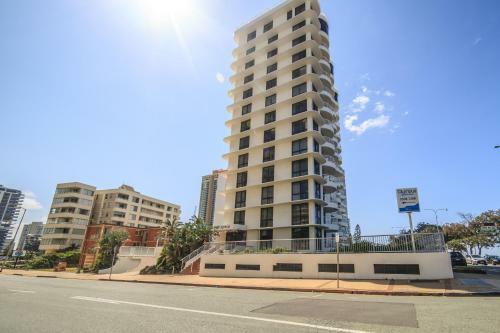 Offering 180 degree views of the Pacific Ocean from all self-contained units, why not take in the breath-taking views of Surfers Paradise Beach whilst sitting back in your lounge room relaxing. 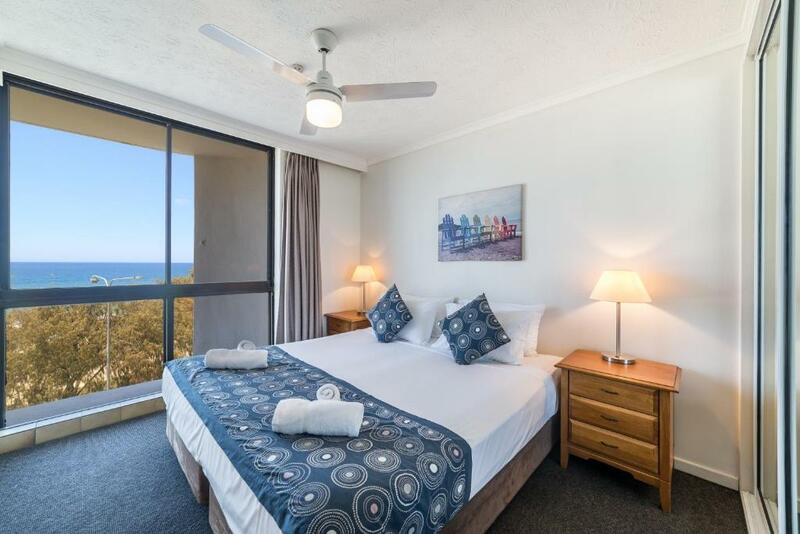 Olympus apartments 1 and 2 bedroom Surfers Paradise Apartments are one of the closest and central beachfront holiday apartments in Surfers Paradise. Did we mention that ALL of our units from the ground floor through to the 10th floor have direct ocean, beach views Be in the middle of the action! 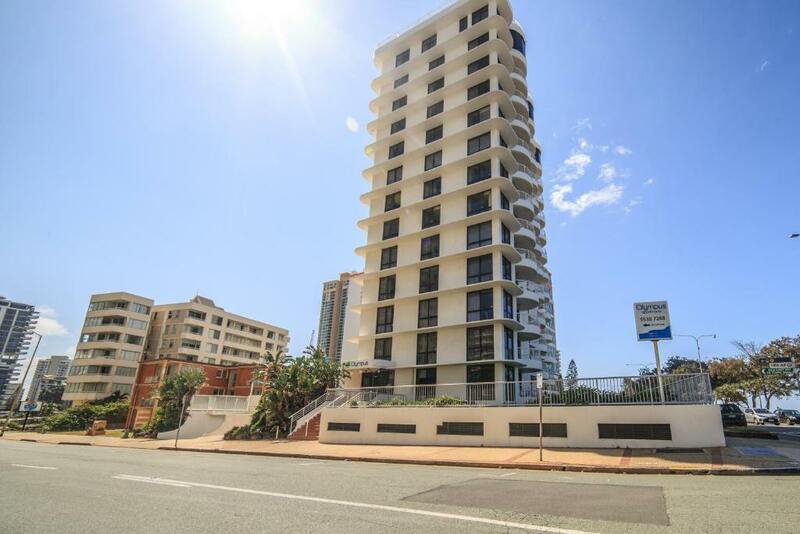 Here at Olympus we offer affordable holiday rental units in central Surfers Paradise directly opposite the beach. Paul & Lily have over 5 years experience in Holiday letting on the Gold Coast and manage more than one complex. We are here to assist guests with all the assistance they require to make sure that they have a memorable holiday. House Rules Olympus Beachfront Apartments takes special requests – add in the next step! Olympus Beachfront Apartments accepts these cards and reserves the right to temporarily hold an amount prior to arrival. Guests need be quiet between 7:00 PM and 7:00 AM. Please note the property is currently undergoing building refurbishments, including painting of the exterior of the property and concrete cancer removal. Works are being completed between the hours of 08:00 to 15:00, until mid March 2019. 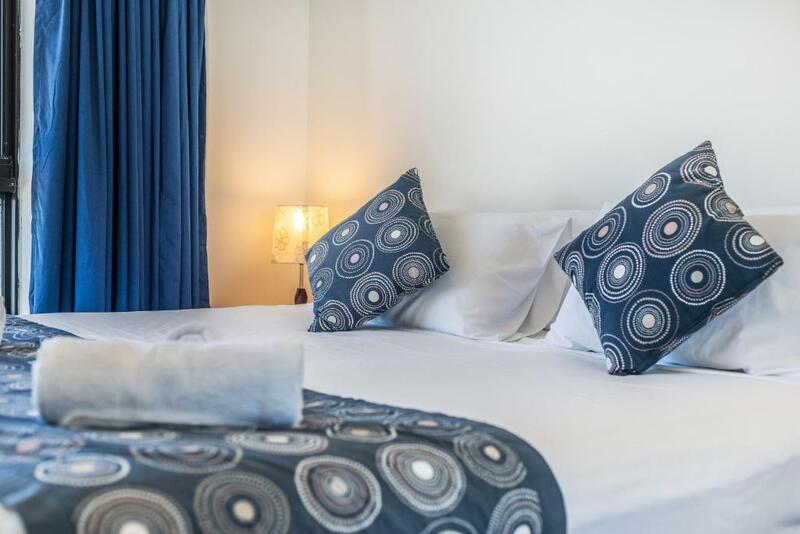 Please note that if a cancellation is made within 14 days of arrival, a fixed amount of AUD 200.00 will be charged unless the apartment is re-booked for the entire period of the stay (see Cancellation and Deposit Policies). If you expect to arrive outside reception hours, please contact the property using the contact details found on the booking confirmation. Only one bed had a doona and both beds were on wheels which often moved. The pillows were oversized . Location, location, location, it was brilliant. Apartment is outdated and needs a good overhaul. Even though clean it really needs a good going over. The bed, it was two singles put to together rather than a double and it kept falling apart. Loved the lady receptionist, very friendly and helpful. The room had not been cleaned properly before we got in. Dried food covered most of the dishes, mould on the light bulbs and floor hadnt been swept from previous renters. Aircon in bedroom as fan was noisy.